Introducing Princess Etch A Sketch! | I Want To Draw a Cat For You! I’m crazy proud to be partnering with one of the coolest artists I know to offer up a brand new product on my site. Princess Etch A Sketch, Jane Labowitch, is an award winning Etch A Sketch artist who will now be offering up custom pet portraits exclusively through my site! Jane’s custom sketches will arrive in a beautiful gift-worthy package. 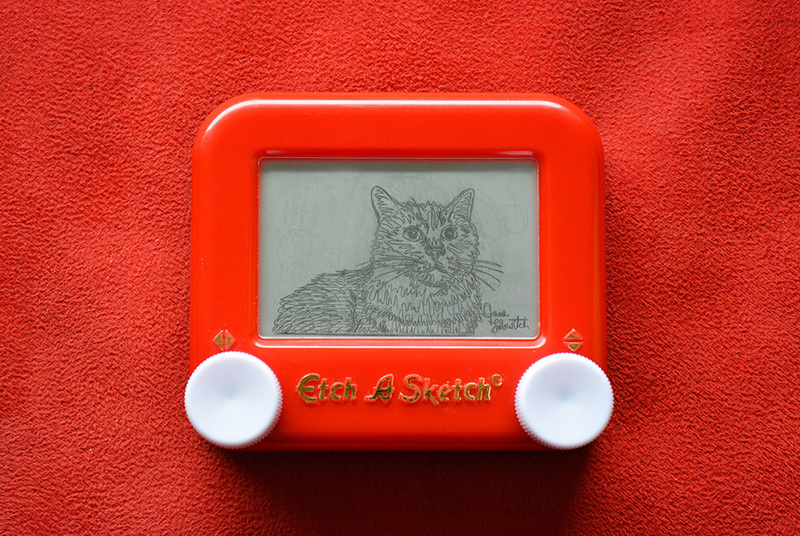 Your custom Etch A Sketch art will arrive on a 3.75″ x 4.25″ Mini Etch A Sketch. A special process will be applied to your art to make it permanent. It will survive shipping, and can even be shaken without affecting the image! Jane Labowitch, AKA Princess Etch A Sketch, is an Etch A Sketch artist currently residing in Chicago. Jane started playing with an Etch A Sketch when she was 4. She played with the toy so much in her childhood that she got used to the mechanics, and it got to the point to where she didn’t have to think about which way the knobs made the stylus on the screen move. From that point her etching skills grew with her drawing skills. After graduating from high school, Jane moved from Michigan to Chicago to go to the American Academy of Art and received a Bachelor of Fine Arts degree in Illustration. During her college years she became well-versed in traditional and digital media alike, while further honing her Etch A Sketch abilities outside of the classroom. In January 2014, Jane went to Paris where she was invited to show her Etch A Sketch work at the fashion show Who’s Next. She is the recipient of the championship trophy for winning the first Sketch Madness competition sponsored by the Ohio Art company. 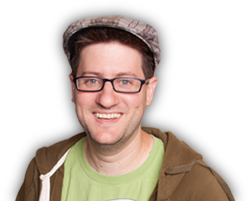 Her Etch A Sketch work has been featured on Reddit, CNN, MSN, Buzzfeed, the Huffington Post, the Chicago Blackhawks blog, the Disney Parks blog, WGN morning news, Steve Gadlin’s Star Makers and more.